Spring aims tiny green spears in its fight against winter. 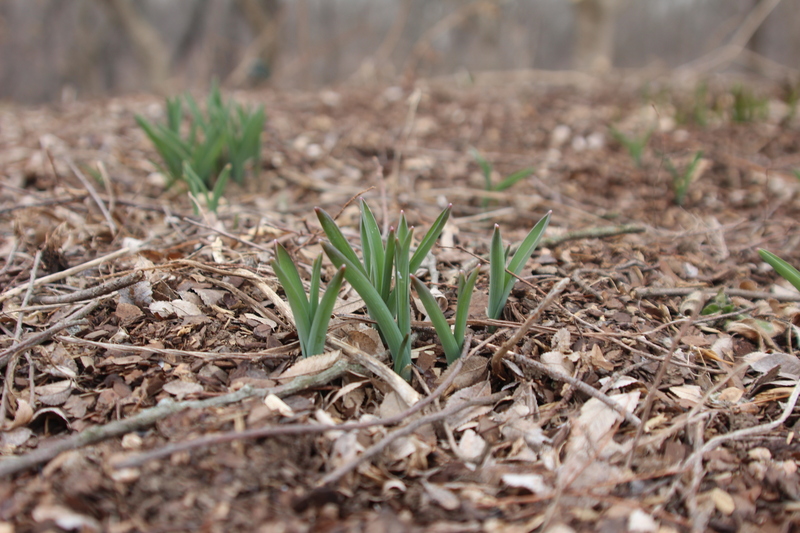 Seemingly insignificant, the pointy shoots of snowdrops, crocus, daffodils, iris and other early bloomers take aim at winter’s soft underbelly. Sooner or later (probably later given the ice cover on the Great Lakes this year), winter will slowly collapse like a malevolent balloon, float to the ground and dissipate with the last frost. Long before that, tiny, triumphant banners of lavender, pink, yellow, red, purple and white will wave in afternoons that grow ever warmer and twilights that linger ever longer. Many Midwest gardens remain snow covered or ice crusted as this longest and coldest winter in ages sneers in contempt at the first warming breath of southern winds. Nature’s pulse quickens. Shoots are drawn irresistibly to the sun. Despite the snow and the cold — blossoms will open, lawns turn green and feet run shoeless once again.